From 2002 : Professor in Biophysics at McMaster (Joint appointment between Physics and Biochemistry departments). 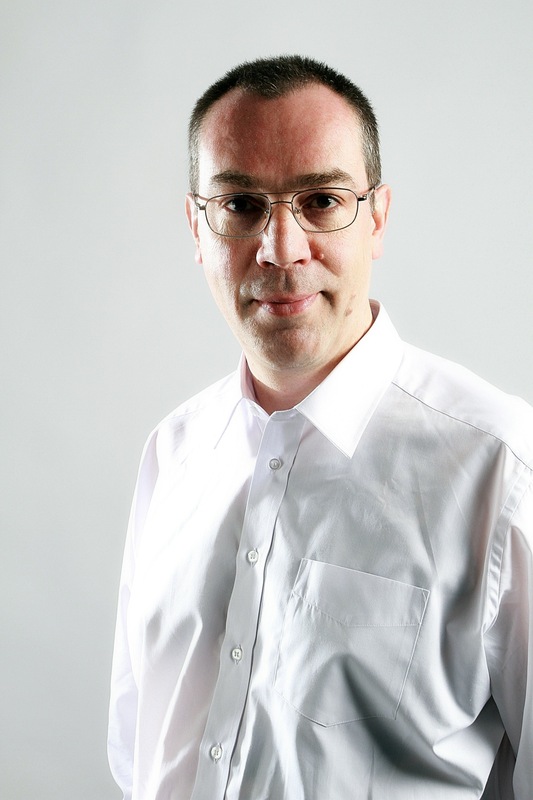 1995-2002 : Lecturer/Senior Lecturer in Bioinformatics at the School of Biological Sciences, University of Manchester, UK. 1992-1995 : Royal Society Sorby Research Fellow at the Dept of Physics, University of Sheffield, UK. 1990-1992 : Post-doc at the Service de Physique Théorique, CEA, Saclay, France. 1989-1990: Post-doc at the Institut Charles Sadron, CNRS, Strasbourg, France. 1986-1989 : PhD at the Cavendish Laboratory, Cambridge, UK. Ongoing Projects - Please follow the links for details of our current work. I am also looking for additional graduate students (starting Sept 2014) to work in these areas. For earlier work on Food Webs, and on Polymers and Soft Condensed Matter, see the Publications list above. I am on the steering committee of the Origins Institute, which is an interdisciplinary science institute engaged in research in fundamental areas of science linking astronomy, physics, geology, biology and biochemistry. Full details of our activities and our program of speakers and public lecturers can be found here. The Origins Institute began a new Collaborative Graduate Program in Astrobiology - the first of its kind in Canada. We welcome inquiries from prospective graduate students. Check out the links page to other Canadian Biophysics groups kindly provided by Andrew Rutenberg at Dalhousie. Together with Cecile Fradin, I am responsible for the Biophysics Specialization in the undergraduate physics program. Students on this specialization take Core Courses in Physics plus a range of courses from Biochemistry, Biology and Genetics. More details of the Biophysics Specialization here. 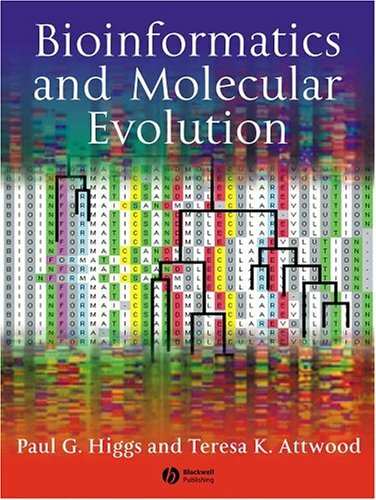 This text, aimed at upper level undergraduates and graduate students, introduces readers to the twin themes of Bioinformatics and Molecular Evolution. Bioinformatics chapters explain the need for computational methods in the current era of complete genome sequences and high-throughput experiments, introduce the principal biological databases, and discuss methods used to create them and search them. Algorithms for sequence alignment, identification of conserved motifs in protein families, and pattern recognition methods using Hidden Markov Models and neural networks are discussed in detail. A full chapter on data analysis for Microarrays and Proteomics is included. Evolutionary chapters begin with a brief introduction to population genetics and the study of sequence variation within and between populations, and move on to the description of evolution of DNA and protein sequences. Phylogenetic methods are covered in detail, and examples are given of application of these methods to biological questions. Factors influencing the evolution at the level of whole genomes are also discussed, and methods for the comparison of gene content and gene order between species are presented. This book explains the theories behind the methods of bioinformatics rather than the technical details of how to use any particular software package. Important mathematical derivations and statistical tests are explained at a level that should be accessible to biological students with perseverance. Muliple-choice ‘self-tests’ are provided, with answers available on an accompanying web site. A section of longer problems is also included. This text will help the next generation of biologists and biochemists gain the confidence with quantitative methods and the specific vocabulary they need to interact with the statisticians, database analysts and software engineers they will encounter in their future careers. 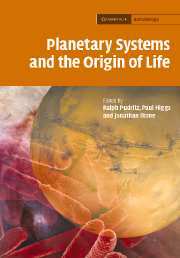 Ralph Pudritz, Paul Higgs and Jonathon Stone (2007) Cambridge Series in Astrobiology, vol. 3. Cambridge University Press. Several major breakthroughs in the last decade have helped contribute to the emerging field of Astrobiology. These have ranged from the study of micro-organisms that have adapted to living in extreme environments on Earth, to the discovery of over 200 planets orbiting around other stars, and the ambitious programs for the robotic exploration of Mars and other bodies in our solar system. This book explores some of the most exciting and important problems in this field. Beginning with how planetary systems are discovered, the text examines how these systems formed, and how water and biomolecules necessary for life were produced. It then focuses on how life may have originated and evolved on Earth. The final section takes the reader on an exploration for life elsewhere in the solar system, including Mars, Titan and Europa.